"Oldies" since they were new! His Musical Memories Solo Act is enjoyed by all ages. 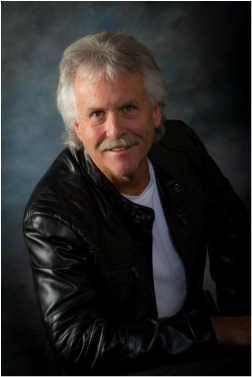 Ken plays guitar, sax, and harmonica while using his vocal styling and audience interaction to sing the most popular songs from the past along with selected current hits. Here are some of the great artists that Ken pays tribute to: Beatles, Beach Boys, Jimmy Buffett, Bob Marley, Eagles, James Taylor, Neil Diamond, Jim Croce, CCR, Monkees, Zac Brown Band and many more. With his vast music library he is accustom to taking requests to please his audience while they dance or sing along. Book Ken for your next event. "The members of Naperville Country Club love having you perform at our events. Whether your performing solo or with your group, the members always make it a point to come out when you are on the schedule. Your range of music is incredible, and I am always impressed with how fast you can “vibe” with the crowd so as to pick musical favorites that the members and their guests want to hear. I would be more than happy to serve as a reference and would give my whole hearted recommendations to anyone looking to have you perform at an event." "Ken Overbey played for our 60's themed surprise birthday party for a friend who was turning 60. His 4-hour live performance was outstanding in every way! Songs from the 60s, 70s and even some 60's tv theme songs. Everyone commented on the fantastic "live" entertainment. Our guests are still sending compliments and we all agree that Ken will be playing at our next gathering. He simply couldn't have been any better and our guests couldn't have been any happier! Thanks for making this party such a memorable event for everyone!"